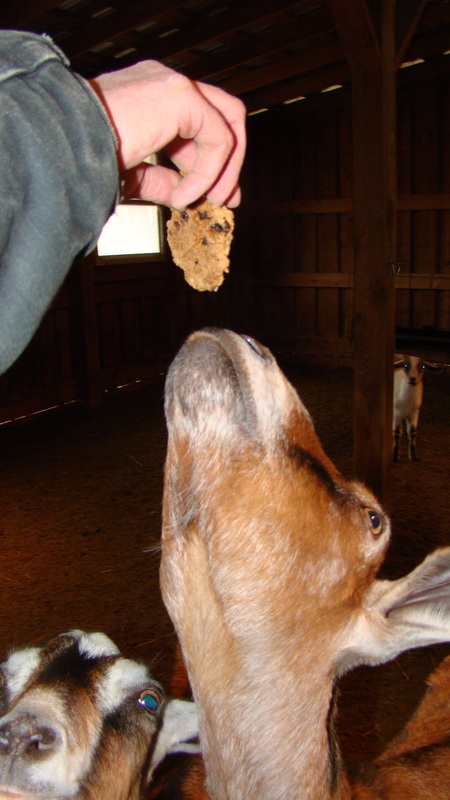 A few leftover oatmeal raisin cookies from the holidays went to the barn to see if anyone was interested. Obviously, they were a huge hit with our goats. Now I know what to get them for their birthdays.